Centuries before pool swimming became the rage in 20th century, mankind competed in open water swims. 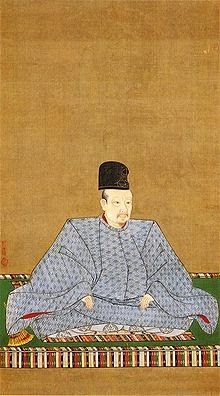 Emperor Go-Yozei, the 107th Emperor of Japan who reigned from 1586 to 1611, organized the first national open water swimming organization in 1603. 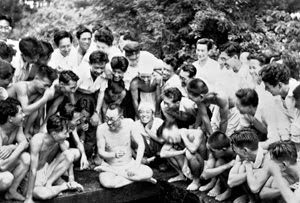 Prior to that, the Emperor declared that school children in Japan should swim. For the island nation, swimming was later developed more as a military art than a competitive sport. While the samurai developed various forms of open water swimming, it was Baron Masao Matsunaga who became the first renowned Japanese swimming coach of the 20th century. Born in the seaside community of Kumamoto in southern Japan in the 1880s, Matsunaga later moved to Tokyo. After his younger brother had drowned while taking swimming lessons, Matsunaga devoted his life to teaching as many children as possible to swim - picking up the goal that Emperor Go-Yozei had dictated 300 years previously. While 87% of elementary schools, 73% of junior high schools, and 65% of high schools in Japan have their own pools on campus and swimming is a compulsory subject in public education, swimming was a matter of military necessity in previous centuries. Between the 15th and 17th century, warriors occasionally swam with their armor and helmet. Between the 17th and 19th centuries, swimming was passed along by military personnel who had to navigate through the rivers, seas, and lakes of Japan (called “Nihon-eiho” or Japanese style of swimming). In 1925, in order to maintain the older traditional style of swimming as a military art, Baron Masao Matsunaga created the Japanese Classical Swimming Federation while continuing to coach pool and traditional styles of Japanese open water swimming. Japanese samurai learned suijutsu or suiei-jutsu (水術 in Japanese) as one form of a martial art of combative swimming. Centuries ago, the Japanese samurai encountered numerous situations where he might need to cross a body of water, attack an enemy, fire arrows or defend himself while in a body of water with his armor on. Based on the warfare needs, the Japanese developed various different styles over the generations (suijutsu). 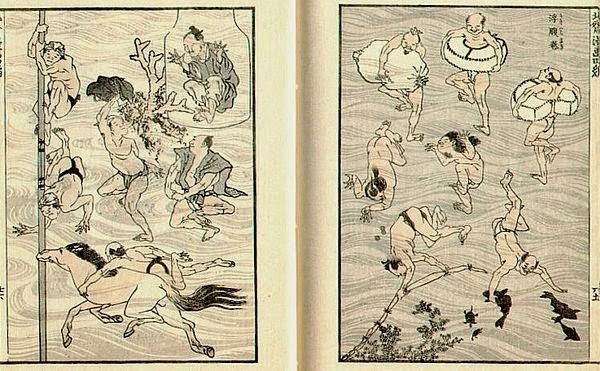 For example, the Iwakura-ryu (style) included various traditional samurai swimming techniques including swimming with armor, eating while swimming, and swimming while tied with rope. These ancient and refined martial arts of suijutsu are currently experiencing a revival of sorts in Japan.